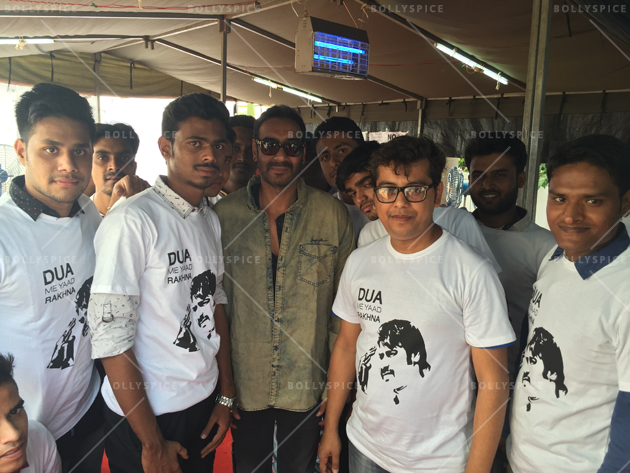 A FAN-tastic moment for Ajay Devgn! Superstar Ajay Devgn recently got a most pleasant surprise from his fans, a special visit from his most ardent fans, who call themselves ‘ADians’ traveled miles from all across India! 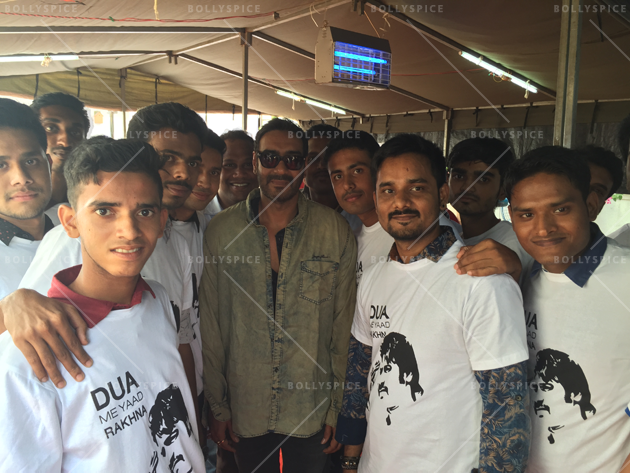 Though it was a planned process by Team Ajay Devgn, they managed to keep it a secret and surprise him on the sets of his recent shoot. 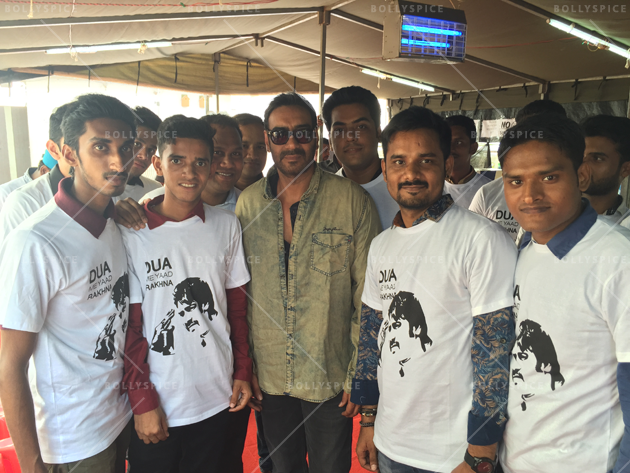 The team had connected with the fan clubs across India through his social media accounts, and the most die-hard 18 to 20 fan club heads were called to Mumbai to meet and greet their favorite actor. In fact, it was a double treat for them when they also got a chance to meet Kajol. The interesting fact is that these fan clubs are connected each other not only in India but globally too, and they never miss such a golden opportunity to interact with him. 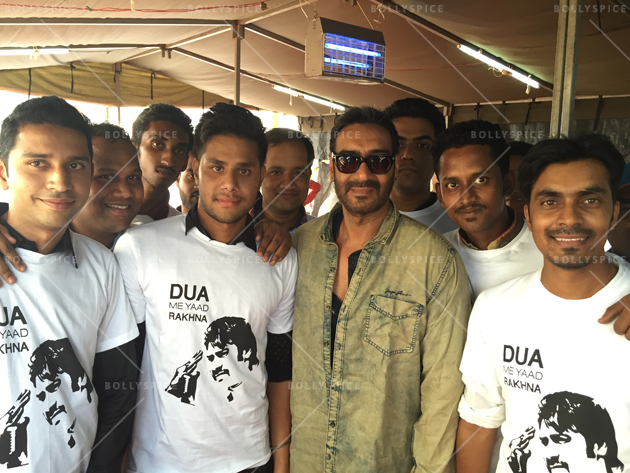 The fan club also had him speak via telephone to his fans from Pakistan, Indonesia and Singapore. 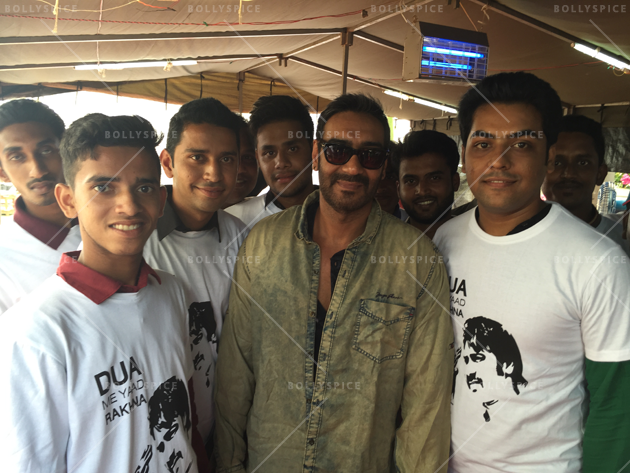 The fans were delighted to meet him and Ajay Devgn without any hesitation managed to remove some time from his busy schedule for them. Team Ajay Devgn also gifted special ‘ADian’ T-shirts to them.Sweet gesture it is!